Tuesday in Ann Arbor, Michigan will introduce the richest college football coach in history, a title Jim Harbaugh will not hold for long. The exorbitant salaries universities pay football coaches have resulted in an arms race without end, at a cost to the structure of the sport that remains to be seen. Michigan reportedly offered Harbaugh $48 million over six years, which would make him the highest-paid coach in college football history. Other reports have since refuted the precise figures. Either way, Harbaugh’s megabucks deal will continue the escalation of coaches’ salaries, a cycle with no stopping in sight that, depending on your point of view, is either a reflection of wanton spending in college sports or the logical byproduct of a rational market. It’s true – big-time programs like Michigan can pay coaches inflated salaries because the money is there, and they choose to pay the salaries because they want to keep the money there. The entirety of deposed Michigan coach Brady Hoke’s salary and buyout – $14.4 million over his four-year tenure – came from Michigan athletic department coffers and not taxpayers, State Budget Office spokesman Kurt Weiss said. The public university is expected pay Harbaugh solely through revenue and donations the athletic department generated, with no money from the state included. “Our records show [Michigan’s athletic department] would likely have enough money,” Weiss said. The Wolverines can sustain their own excesses. So what’s the issue? While Michigan’s athletic department may be able to afford it, many of the schools it competes with cannot. Only 20 Football Bowl Subdivision athletic departments finished in the black in 2013, according to an NCAA study released in April. Meanwhile, according to USA Today’s database, the average FBS coach’s salary has doubled since 2006. As coaching salaries rise, those schools that operate at a lower economic threshold than Michigan will face a choice: Step aside or dip into state funds or money otherwise earmarked for academics. The gulf between the haves and have-nots will widen, with many of the haves using taxpayer dollars. And then some of have-nots will choose to give up rather than try to keep up, spent into oblivion. “It’s really the 24 programs with the largest athletics budgets that are really the ones driving the spending increase,” said Amy Perko, the executive director of the Knight Commission. “Schools at the lower tier of spending, those programs rely on student fees for a significant portion of their athletics budget. They are facing decision day fairly soon on how much they can increase student fees” to pay a football coach’s salary. The growing chasm will only deepen if and when players receive compensation. The Knight Commission’s data shows that coaching salary makes up one third of athletic department spending, Perko said. The costs would only increase if football players received pay, too. That ripple effect is one reason why critics view escalating coaches’ salaries as a striking problem: When Power School U decides it will pay a coach $8 million per season, it may trickle down to how much an average student at Lower Tier Tech pays for tuition. But the appeal of a football program can be so strong that alumni donations threaten to fall if the smaller school makes noise about dropping the sport. But larger schools have both the incentive and the means to offer higher and higher salaries. Remember: The money is there. New television rights fees have enriched power-conference schools like never before. As long as the NCAA prohibits players from seeing any of the massive profits, no one figure is more responsible for raking in revenue than the head coach. It would be easy to counter that any coach could keep a tradition-rich program like Michigan profitable, and that more athletic revenue should be spent on academic pursuits. But if Hoke’s rocky tenure didn’t lead to indifference, Michigan wouldn’t have felt compelled to find a new coach. This fall, a campus convenience store ran a promotion that handed out two tickets to Michigan’s home game against Minnesota with the purchase of two Cokes. The dizzying salaries coaches receive are only natural byproducts. This summer, Vanderbilt law professors Randall S. Thomas and R. Lawrence Van Horn performed a study of college football coaches’ salaries, comparing their ability to add value to an organization to that of CEOs. They disregarded any social stigma pertaining to skyrocketing pay for a coach at an institution devoted to higher education. The professors discovered the market had rewarded them properly. “We find no evidence that the structure of college football coach contracts is misaligned, or that they are overpaid,” Thomas and Van Horn wrote. Still, salaries will continue to rise before they go back down. Many critics have proposed a cap on coaches’ salaries, but that idea would be struck down through a lawsuit, McCann said. As Harbaugh’s salary shows, colleges will continue to use all the financial might they can muster to lure a coach able to produce wins and revenue. Coaches cannot be begrudged for negotiating contracts that are fair under the system in place. If the NCAA is not going to let the players share in the profits, then head coaches are next in as the ones who produce the revenue. But the salary figures the system produces provides yet more evidence of the absurdity of linking a massively profitable sports enterprise to an institution of higher education. The money is there and it’s being made by the football team, and it’s not like any schools are going to be diverting that money to the anthropology department anytime soon. 1. Khalil Mack OLB Raiders- Stats don't tell the whole story for how well Mack has played this year. He provides constant pressure and his biggest contribution is stopping the run. He's been basically the lone bright spot on a shaky Raiders defense thus far and they should look to build around him in the upcoming draft. 2. Chris Borland MLB 49ers - It may have been a small sample size, but Chris Borland has been stellar in his first pro season. Only starting in eight games this year, Borland has racked up over 100 tackles including a game against the Giants where he had 13 tackles and two interceptions. 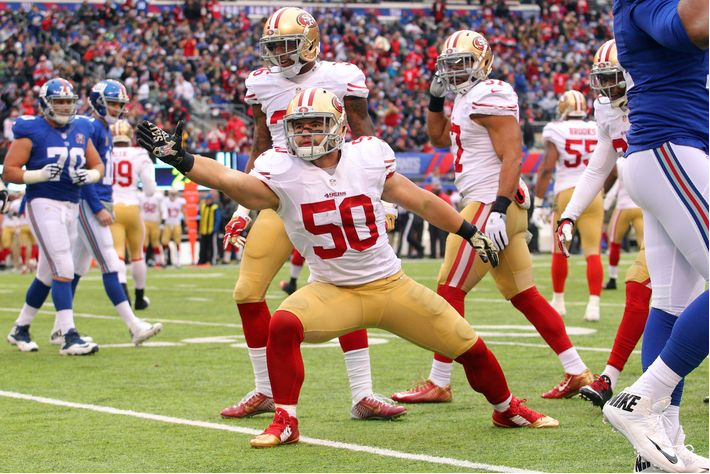 Chris Borland is a name to watch next year to see how he fits in with All Pros Patrick Willis and Navarro Bowman. 3. Odell Beckham Jr. WR Giants- How could someone make a list of productive rookies without mentioning Beckham? This guy has been flat out amazing. He runs very crisp routes, is strong off the line of scrimmage, and has outstanding hands (yes we've all seen the catch on Monday Night Football). He has the tools to be a top ten maybe even a top five receiver in all of football next year. 1. Blake Bortles QB Jaguars- Its always early when it comes to Quarterbacks, but Bortles has looked sub-par at best. He has had glimpses where you see his number three overall pick potential but he's been terribly inconsistent. Blame it on the Jaguars in general or not, Blake Bortles doesn't look like the answer for this team. 2. Jadeveon Clowney DE/OLB Texans- Being the number one overall pick always brings pressure to perform immediately and Clowney simply hasn't been on the field. He's been injured most of the year and has had surgery on his knee already. Injuries along with people doubting his effort make Clowney look like an early bust candidate. He has all the ability in the world and if he can just get on and stay on the field, he may be one of the best pass rushers in the league. 3. Justin Gilbert CB Browns- Justin Gilbert's rookie year has been shaky at best. He's been far from the answer the Browns thought he was going to be when the drafted him. They thought they were getting a playmaker opposite of All Pro Joe Haden instead they got a young corner who gets burned way too often. Gilbert has plenty of skill but until he puts some effort in, he'll just be another forgotten top ten pick. From Wire and Staff reports' "NFL notes: Cobb scores 2 TDs in Packers' win; Williamson sets Titans' rookie mark for tackles"
With four tackles on Sunday, former University of Kentucky standout Avery Williamson raised his season total to 105, moving past Alterraun Verner for the Tennessee Titans' rookie tackle record. Verner had 103 in 2010. Williamson was pleased with how his season went, though disappointed that the team struggled to a 2-14 record that earned them the No. 2 pick in the NFL Draft. "I have a good feeling about this season," he said. "It wasn't perfect, but as a rookie, I feel like I did pretty good. I made some huge strides, so it gives me some confidence going into the next season, and I can build off that and keep on improving." Williamson, who said he'll spend part of the offseason at UK taking a class and working out with coaches, said he'll do all he can to retain his starting position. "I've really got to work hard this offseason and get in the playbook," he said. (To) know the ins and outs of it, and get bigger, stronger, faster. The whole nine yards. I've got to come back an even a better player next year." From Bill Barnwell's "The Grantland All-Pro Team"
Sitton is a reasonable candidate to be considered the most underrated player in all of football. The 2008 fourth-rounder has made only one Pro Bowl and doesn’t ever get discussed as one of Ted Thompson’s best draft picks, but Sitton consistently stands out as the best player on the league’s sixth-best run-blocking offensive line. STATS has him down for just three penalties and zero sacks this season. Yanda teams with Kelechi Osemele to form what might be the best tandem of guards in football right now. Baltimore has totally turned its running game around this season, as a team that averaged just 3.1 yards per carry during a dismal campaign last year is now up to 4.5 yards per rush, the seventh-best rate in football. Baltimore basically punted at right tackle this offseason and gave the job to 2013 fifth-rounder Ricky Wagner, but Yanda has been good enough at guard to solidify that side and make Wagner’s job all that much easier. It's a thankless job, being the second tight end on a dynamic offense like the Steelers. Antonio Brown needs to get the ball, so there's 60 percent of the team's targets. Le'Veon Bell needs to run the ball, so there's even fewer passes to go around. Add in Heath Miller, a player with his own fan-stamped yell for each catch he gets. 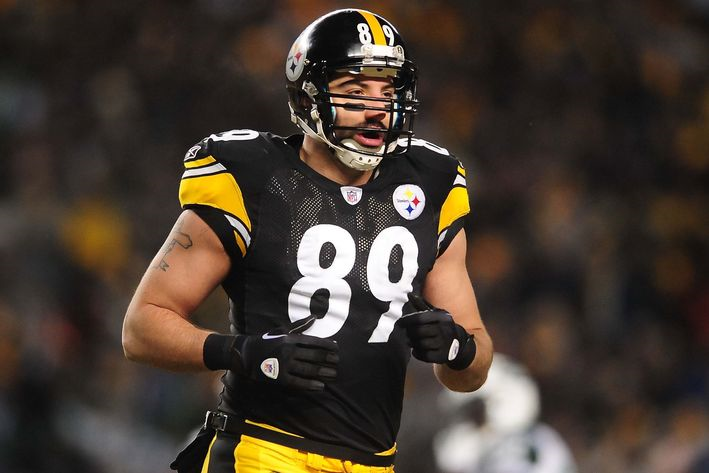 There really just isn't anything left for Steelers TE Matt Spaeth. But he's making it work anyway. Here are the offensive snap count percentages for each game played so far. Heading into Week 15, there's a pattern developing. Check out Matt Spaeth's snap-count percentages this season. When he's in, he's there to block both on passing and running plays, and he has been a major factor in the improved play of the Steelers' offense. His snap-count is almost directly proportional to how well the offense goes. Going through and looking at our best and worst offensive performances of the year, this makes for an interesting read. Some of the best performances the Steelers' offense has had this season were against Carolina, Indianapolis and Baltimore, as well as that that monster rushing effort from Bell against the Titans and last weekend's destruction of the Bengals. Some of the worst performances were at Baltimore in Week 2, at Cleveland, the Jets and the Saints games. Although against the Saints we actually ended up producing quite a lot of yardage, most of it came when the game was already over. The Buccaneers game was another low-light. In all of our best offensive performances, Spaeth's snaps are well over 30 percent and often nudging on 50 percent. In the worst offensive performances, he's well under 30 percent, bottoming out at 5 percent in probably our worst performance of the year, the embarrassment in Baltimore. Does Spaeth being in there blocking in both the running and passing games boost us more than any other single player? There's probably good reason to wonder about it. As maligned as Spaeth was during his first stint as a Steeler, it's clear that he is, at least now, an excellent blocker for both the run and pass games. He's helping open big holes for Bell but, perhaps more importantly, he's helping keep Ben vertical and unharrassed. And when he does, even though we're a receiver short, it doesn't matter because the Steelers have three guys who can get open on anyone given time. Markus Kuhn has become the first German to score a touchdown in the US-based American football league, the NFL. The 28-year-old was playing for the New York Giants against the Tennessee Titans in Nashville. Markus Kuhn has gone into the history books, after becoming the first German to ever score a touchdown in the world's toughest American football league, the NFL. 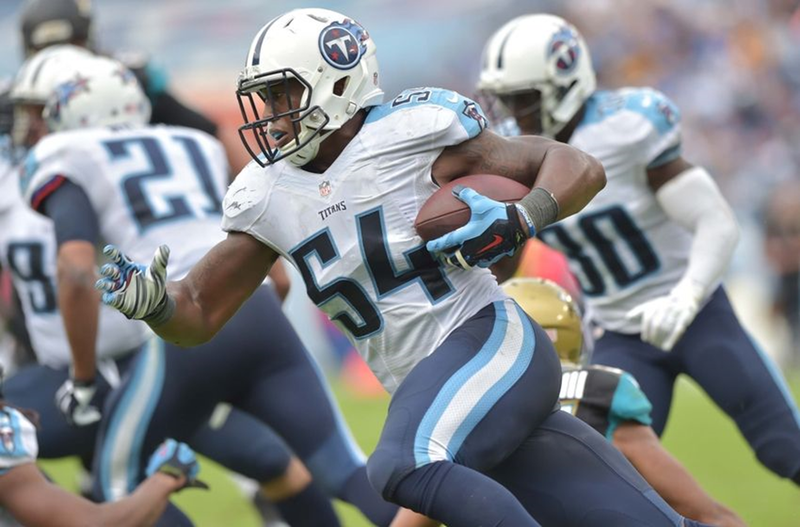 The defensive end from Mannheim, Germany, was playing for the New York Giants in their 36-7 victory over the Tennessee Titans when, in the 14th minute of play, he scooped up the ball after a fumble by Titans quarterback Zach Mettenberger. Kuhn then ran 26 yards to the endzone to take the score to 16-0 in favor of the Giants. Kuhn was escorted into the endzone by teammates, Jason Pierre-Paul and Damontre Moore, who then congratulated their team-mate with slaps on the back and on the helmet. The German, who is normally just involved in defensive plays for his team, could barely believe his luck. 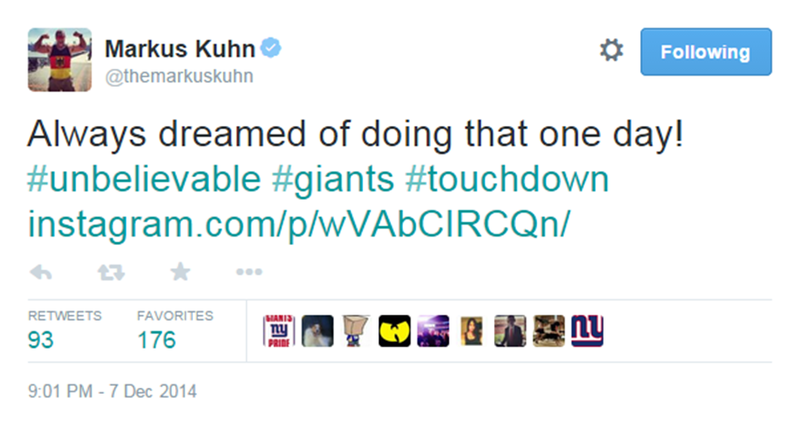 Kuhn tweeted after the game that he had "always dreamed" of scoring for the Giants. Speaking to the New York Post about the reaction from his teammates after his touchdown, Kuhn said: "They were like, 'They've even let the German score now.'" Kuhn admitted that, as he scored the touchdown, he thought to himself, "there's no way this is happening." 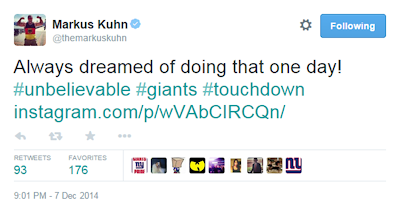 Kuhn's touchdown was even more remarkable as it was the first TD from a fumble for the struggling Giants in 35 games. The result helped his team to their first victory in eight games. The 28-year-old is one of four Germans playing in the NFL this season. Other representatives from Germany include Björn Werner (Indianapolis Colts), Sebastian Vollmer (New England Patriots), and Kasim Edebali (New Orleans Saints). Despite the recent closure of the NFL Europe competition, the NFL remains popular amongst sports fans in Germany. We’ve made it three-quarters of the way through the NFL season, so that means one thing: It’s time to catch up on the various award races. Everyquarter, I run through the regular-season trophies to get a gauge on how perceptions are changing as the season goes along. The league moves so quickly that it’s actually pretty incredible to see players enter a race and then disappear over the course of mere weeks. Philip Rivers went from being an MVP candidate to downright mediocre and then flipped that script in Sunday’s win over Baltimore alone. Please keep in mind that these aren’t my picks for who should win each award, but instead who I think is most likely to win. These are also based on a combination of each player’s current output and what’s likely to happen over the remainder of the season; if I had thought Haloti Ngata deserved to be defensive player of the year for his performance through the first 13 weeks of the season, the news of his suspension for Adderallwould immediately ix-nay his candidacy. Last time, I jokingly wrote Borland’s name before crossing it out. No joke this time. Borland’s profile has exploded over the past four weeks, to the point where he’s now the highest-profile defensive rookie seeing regular playing time. Seahawks fans were actually trying to troll me on Twitter on Thanksgiving by pointing out that Marshawn Lynch had run over Borland, not noting that Borland had made probably a half-dozen solo tackles on Lynch up to that point, let alone that we’re talking about the most powerful running back in football versus the fourth inside linebacker on the 49ers depth chart. It’s a sign of how far Borland has come. It’s also a sign that there really isn’t a clear-cut choice to compete with Borland. Barr had only one sack during this past quarter and he left Sunday’s win over the Panthers with a lingering knee injury that will likely keep him out for at least one week. C.J. Mosley has immediately settled in and taken over as a fine inside linebacker for the Ravens, and he’s actually a better player than Borland, but Borland’s story is better, and that matters to the electorate that votes on these awards. Aaron Donald is an absolute freak and deserves the J.J. Watt–lite comparisons he got before the draft, but his rookie-leading sack total is at just six. He is Borland’s biggest competition for the award, and it should come down to how these two play over the final month. San Francisco 49ers rookie linebacker Chris Borland has had a monster season since moving into the starting lineup in October. He added to his honors with NFL Defensive Rookie of the Month for November. The San Francisco 49ers have had an inconsistent season, but amidst the turmoil, Chris Borland has emerged as a serious presence. The 49ers rookie earned a significant honor today, as the NFL named him Defensive Rookie of the Month for November. This followed back-to-back Rookie of the Week awards in Weeks 10 and 11. It is worth noting the weekly awards are voted on by fans, while the monthly award is not. Borland joins Aldon Smith and Patrick Willis as the only 49ers linebackers to win the award. 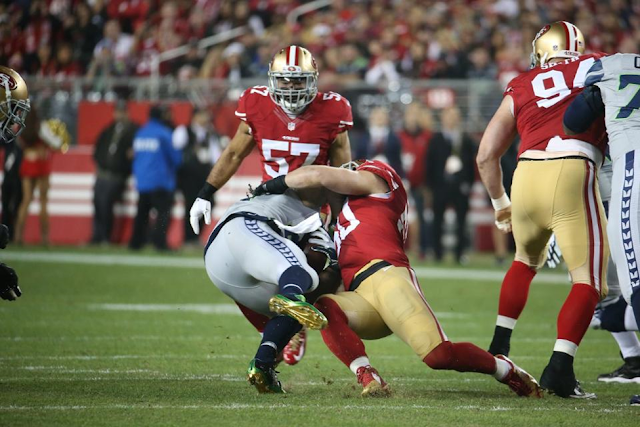 Borland's November was kind of ridiculous. According to the NFL, he is the only player in the past 20 years to accrue 70+ tackles and 2+ interceptions in a calendar month. He led the NFL with 70 tackles in November, although every source seems to end up with different tackle total. However you look at it, he has been a force. 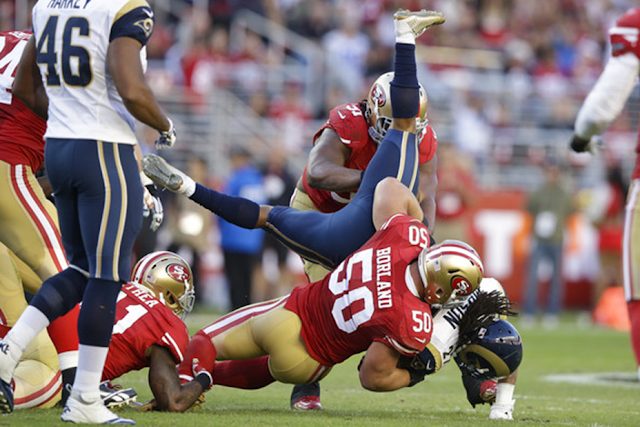 Borland moved into the starting lineup in the second half of the 49ers December 13 win over the St. Louis Rams. He had a strong second half, but then struggled the following week against the Denver Broncos. After the bye, he put together a ridiculous three week stretch against the Rams, Saints and Giants. The last two weeks he has come back to earth a bit. His numbers are down a bit, including his grading at Pro Football Focus. However, among linebackers with at least 25 percent of snaps, he is tops in run stopping percentage. His pass coverage is going to need continued development, but he has gotten his NFL career off to a strong start. Now the question is, does he have enough time to potentially claim Defensive Rookie of the Year? 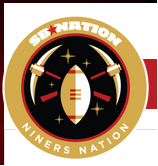 The 49ers have some big games in December, and some strong performances could be enough to notch the honor. It won't be easy, but the opportunity is potentially there with a strong finish. Marshal Yanda grades out as the best guard in all of football. Try this idea on for size: Marshal Yanda is one of the greatest players in Ravens history. An offensive guard? Really? Yeah, really. Let's start the case with Ravens offensive coordinator Gary Kubiak on the stand. Kubiak has coached and played with his share of excellent offensive linemen. Already, he'd put Yanda near the top of the list. "Yes, I've told John [Harbaugh] that," Kubiak says. "He's as good as any I've ever been around, and I've been around some great ones. I'm so impressed with the technician that he is, how hard he plays, how tough he is, the things he plays through. He's a consistent body of work." All right, how about the view of a pretty smart rookie looking for NFL role models? "He's the type of guy where, when I'm watching film, I watch what he does on every single play," Ravens guard John Urschel says. "That's how good he is. 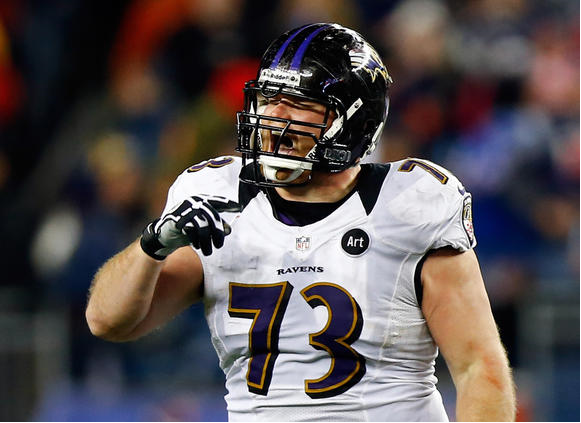 … Listen, if I end up being like Marshal Yanda in four or five years, I'll be more than happy with my career. That guy's the real deal." You want outside views? Yanda's peers voted him the league's 55th best player in the NFL Network's annual preseason poll. He was the second-ranked offensive lineman and one of only two guards to make the list at all. The analysts at Pro Football Focus grade every play of every game, and by their reckoning, Yanda has been a top-10 player at his position — guard or tackle — in five of the six seasons he's started more than half his team's games. Last year, playing with a shoulder still weakened from rotator cuff surgery, he graded as the NFL's 15th-best guard. "He's definitely one of the best linemen in the league," says Steve Palazzolo, a senior analyst for Pro Football Focus. "He can play the power game and maul people but then you see some of the reach blocks he makes, and he moves awfully quickly over a short space." The entire Ravens line suffered through a disappointing 2013. But now that Yanda, 30, is healthy again, he's playing arguably the best football of his career in his eighth season. Pro Football Focus says the gap between him and the next best guard, the Cleveland Browns' Joel Bitonio, is greater than the gap between Bitonio and the 10th best player at the position. ESPN analyst Jon Gruden gushed over the holes Yanda and Kelechi Osemele opened for Justin Forsett in the Ravens' Monday night victory in New Orleans. OK, enough with the accolades. What says Yanda to the notion he's an all-time great Raven, behind only former teammate Jonathan Ogden among all the franchise's offensive linemen? It's Friday afternoon before the New Orleans trip and he's still flushed and sweaty from practice. He starts with a self-deprecating snort. He's trying to humor the question but with the Saints looming in three days, he can't go there. 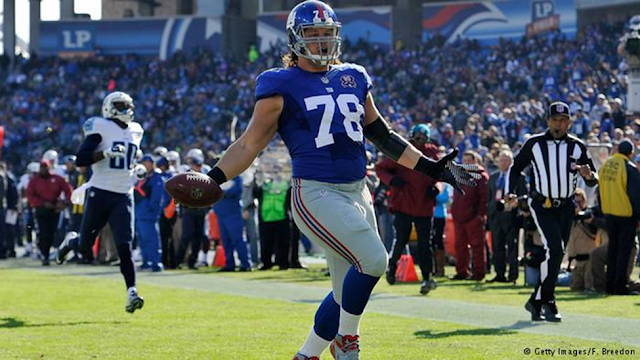 "It's tough, because I'm a team guy, and I don't worry about that stuff," Yanda says. "If I'm worried about that stuff, then I'm not worried about what's most important, which is blocking New Orleans. If you get in that mindset, you're going to take steps backward. You can go from the top to the bottom in a half. Not a game, not a year. In a half." And there you have it, an athlete who's great in part because he never stops to think about how great he is. Yes, it's easy to fall into cliché when discussing Yanda, the unbreakable Iowa farm boy who achieves beyond his physical gifts and hates talking about himself as anything more than a classic football grunt. You read stories about him from over the years and toughness is the common theme. The most widely repeated episode is the $600 bet he won as a rookie when he took two jolts from a stun gun wielded by disbelieving Ravens veterans. "Easiest money I ever made," he said at the time, noting he'd taken worse shocks brushing against the electrified cattle fences on his family's dairy farm. Others marvel at the way he played through the Ravens' 2013 Super Bowl run with that torn rotator cuff, which required surgery five days after the last snap of the season. "Who does that?" asks Kirk Ferentz, Yanda's college coach at Iowa and also a former Ravens line coach. But these stories circulate often enough and they become almost cute, which doesn't fit Yanda's self-conception. He's not interested in being a folk hero. He's simply devoted to pushing through whatever he must to be a great offensive lineman week after week, year after year. Consistent is his favorite word. Look at his His Pro Football Focus game grades and they're almost numbing — positive scores for weeks on end. Positive for both run and pass blocking. Positive whether he was playing at guard or right tackle, a position he manned earlier in his career. It speaks to a man whose mind remains locked on football every day during the season. No leaving the game at the office for Yanda. He believes such paranoia is warranted for a job that can subject him to public mockery if he screws up two plays out of 60. Every practice, he does his best not to loaf, lest he set a poor example for younger teammates. Every night, he plays with his children, 4-year-old Graham and 2-year-old Elizabeth, then settles in to watch film. Every play, he looks for another opponent to hit until the referee's whistle blows the action dead. Want to know why Yanda is so often in the middle of on-field shoving and yapping? "I think guys get into it with him, because he's always finishing to the whistle," says Ravens center Gino Gradkowski. "He might get under guys' skins always doing that." Pain is part of the routine, something to be accepted as the price for doing what Yanda loves. "You have to understand it's not if you're going to get hurt, it's when," he says matter of factly. Yanda had never been injured in high school or college. "I thought I was just different," he says, mocking his youthful outlook. But then he blew out his knee five games into his second pro season. Since then, some part of him has hurt pretty much all the time. "But you'll never know, never hear about [it]," says rookie tackle James Hurst. "If there's any way that guy can be out there, he'll be out there." Guard is actually the perfect position for Yanda's stoic personality. He can do his job better than anyone in the world, receive handsome pay ($32 million over five years) and universal respect from his peers and still face less public attention than your average back-up quarterback. He wasn't always this picture of professionalism. Growing up in Anamosa, a town of 5,500 in Eastern Iowa, Yanda let his grades slip to the point he had to attend junior college instead of pursuing a four-year scholarship. With that jolt of reality and numerous kicks in the rear from his strict mother, Ruth Byrd, he shaped up and set his sights on the Big Ten. Ferentz remembers Yanda hanging around Iowa's facilities "like a dog who won't leave your porch." The coach didn't like using roster spots on junior college players, whom he regarded as poor risks. And he half-regretted giving Yanda a shot when he saw how stiff the kid looked in summer workouts. "He wasn't very impressive," Ferentz recalls. "And that's being kind." This would become a theme for Yanda, who's the opposite of a workout warrior. At the NFL scouting combine, he'd impress virtually no one with a 40-yard dash time of 5.15 seconds and 23 repetitions in the 225-pound bench press. Even now, Yanda hardly stands out in an NFL locker room. He neither towers over his teammates, as Ogden did, nor ripples with muscle like Terrell Suggs, who dresses a few lockers down. He's just another beefy guy with ruddy features. But once Yanda donned his pads, Ferentz watched him transform into a different animal, one who'd hit anything that moved and hard. "During his senior year, I told all the pro guys, 'Look, your coaches are going to hate him when they see him running around in shorts, but once they see him play actual football, they'll come back and thank you for drafting him,'" Ferentz says. The Ravens saw exactly what Ferentz promised, picking Yanda in the third round in 2007 despite having already drafted another guard, Ben Grubbs, in the first round. As a rookie, Yanda got his one chance to play with Ogden, a future Hall of Famer whom he'd heard all about from Ferentz. He observed Ogden's intelligence in team meetings and the great tackle's competitive meanness on Sunday. But study as he might, Yanda would never be 6-foot-9 with dancer's feet and arms as long as javelins. "I couldn't do anything he could do," Yanda says with an awed laugh. It was an important lesson. He had to know his own strengths — diligence and a thirst for contact — and play to them. "He's definitely a scrapper, a guy who will get it done no matter how he has to do it," Gradkowski says. "I think he would pride himself on that. It doesn't always look pretty, but he always finds a way to get it done." Now Yanda's the guy studied by younger players. He's made three Pro Bowls with a fourth seemingly inevitable this year. And he's a quiet cornerstone of one of the league's most consistent winners. "I knew he was a good player when I came here," Kubiak says. "But man, is he impressive — not only as a player, too, but as a person, how he goes about getting ready to play." Yanda has some notions about his post-playing career. He and his wife of three years, Shannon, are expecting their third child in February. They plan to retire to their native Iowa, probably to a farm. 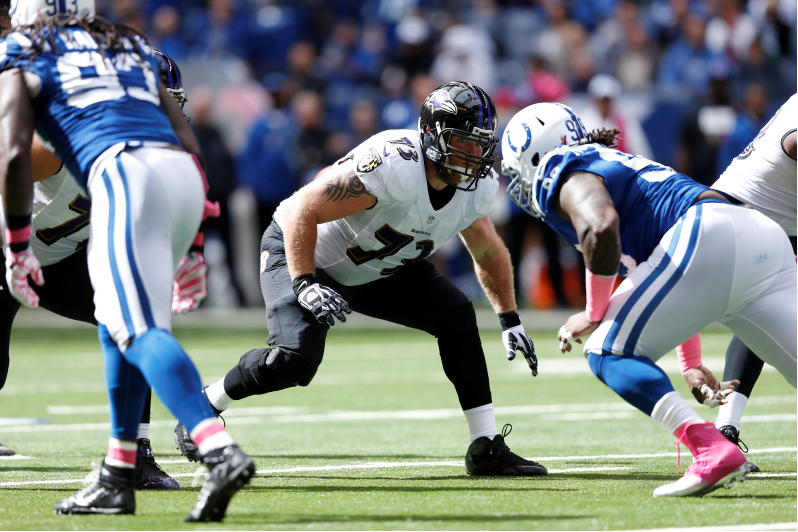 Yanda says he'll shed some of his 305-pound playing weight to reduce strain on his joints. But those visions seem as far away as the post-career awards — Ravens Ring of Honor, even the Hall of Fame ballot — he doesn't care to discuss. There's a game coming Sunday, and Yanda has to get ready.